We supplied 4 Indonesian Production Workers each for most of these vessels in the early days of Norwegian fisheries off NZ. I'm afraid I don't know what happened to these trawlers. I think they all left after the Orange Roughy was fished out. Thanks for posting pics of the "Janas", which I was involved with at one time. The other Long Liner ("San Aspiring") also looks familiar. Could that be ex "Azelia Glazial" (not sure of spelling) or one of her three sisters? She was arrested for illegal fishing after Tooth fish and laid up here in Singapore for a long while. I think she eventually went to NZ. I remember most of these vessels. Rameon is the only one that I do not recall. Kirkholmen was also in there too. 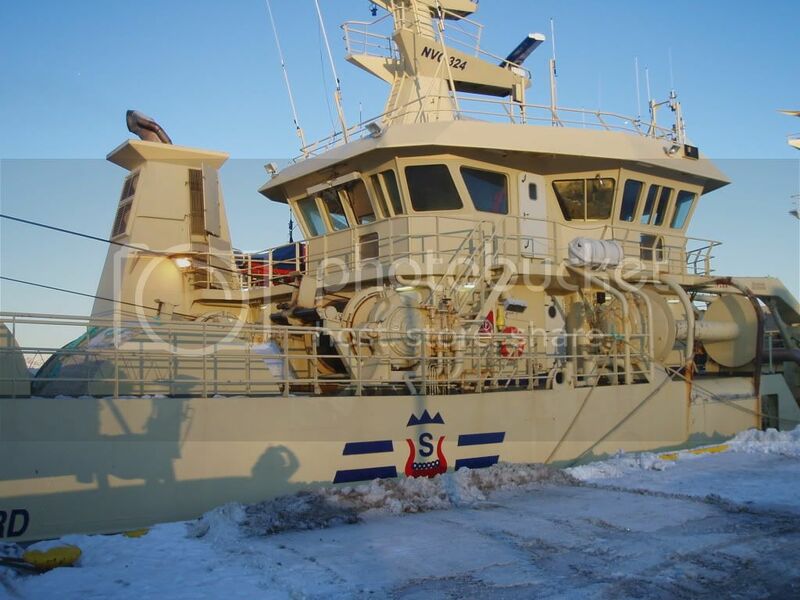 It fished for Sealord and also Amaltal fishing companies and they replaced Russian and Japanese Joint Venture vessels. All vessels vessel deployed to catch Hoki and do not recall many of them doing Orange Roughy. I believe I saw the Labrador involved at some stage in Orange Roughy fishery. Us Kiwi's looked after the Roughy fishing while our Norwegian friends caught our Hoki. Will look through my photo collection for more photo's of these vessels. San Aspiring was named Gudni Olafsson previously. And As I was saying before Kirkholmen became the Amaltal Endeavour which is in my photo's above. She then went to Africa and was renamed Matico 2. She sank last year after having engine problems in heavy seas. My Factory Manager was on board and told me about it. 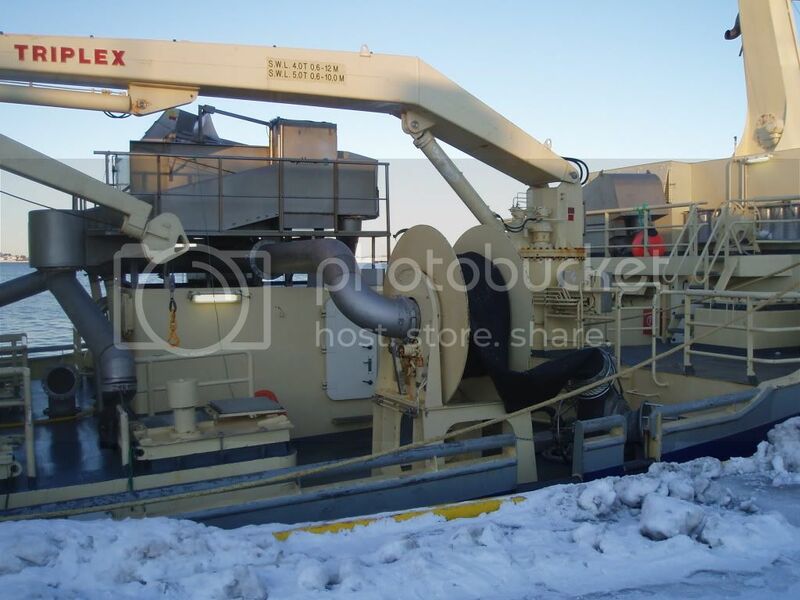 See in your PM to me that you went to the Dahle-area of Sterkoder Yard to pick up 'your' vessel, and that you had some great time in Kristiansund and Norway. You know, the yard over at Dahle..., or Dale, as is the correct way of writing, was originally the area belonging to the second ship yard in the city, Storvik Mek. Verksted. They went bankrupt in 1985, and the owner of Sterkoder bought the company from the banks. The areas, both at Dale and farther east (the original Sterkoder) down in Melkvika (where I lived) looks just the same today as when you were here, with small adjustments. Well, I know that it was the Roughy that attracted them to NZ. We had several of the Owners passing through Singapore at the time. One of them found Orange Roughy on the menu at his hotel and insisted he wanted to see were it originated from. When he found it was from one of his boat he got all exited. Admittedly, I think that particular boat was fishing outside NZ EEZ and delivered her products in Melbourne, but his other boats did fish on NZ license. Yes the Roughy was going to be the big money spinner for them. I was part of the rush where we were catching many tonnes. 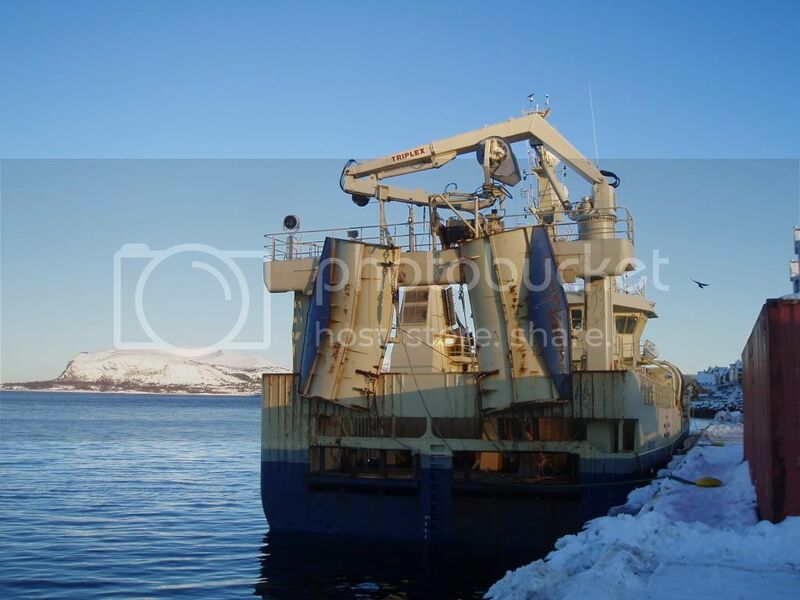 I remember one year on the Amaltal Explorer we caught 12000 tonnes of Roughy. On trip alone we caught 1500 tones in 21 days and turned it into Head and Gut product. I know Amaltal employs Phillipine crew for their vessels now. I saw some heading home at the airport today. Do you have anything to do with New Zealand anymore? I work At the airport now for Air New Zealand and keep a eye on what is going on in the fishing industry by talking with old work mates from the boats. Do you have anything to do with New Zealand anymore? I work At the airport now for Air New Zealand and keep a eye on what is going on in the fishing industry by talking with old work mates from the boats. No I'm out of the fishing industry all together for many years. My last attempt was to get the Azalia Glacial (?) 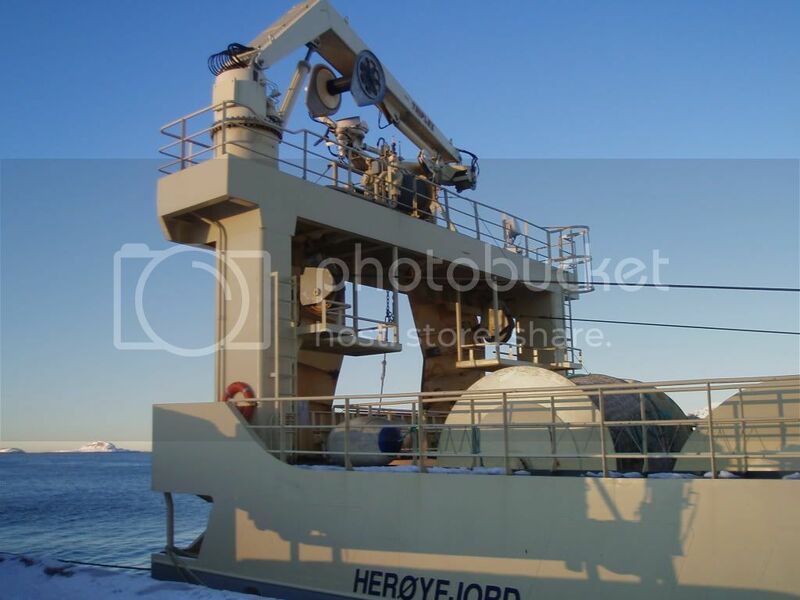 back in business in the late 1990s, but when the Investors found that if caught in the French Zone (Keaugelan) the vessel would be taken to Reunion, stripped and taken out to be used for target practise, they lost their interest. I still think it is a lot more interesting business then what I have been doing since, though. Behind Johan Feyer, I notice there is a house with the inscription "hotel" on the wall... what hotel is that? How far do the boats have to go to catch capelin? I assume it is rather close coastal fishing. Very nice evening shots full of atmosphere. Makes me realize that I should go out at night as well, firstly for a walk and exercise, secondly to get some evening shooting practice. Ha-8, zk 57, won 77. Here are photo`s from the Fishingboats HA-8, ZK 57, WON 77. Last edited by Germen; February 26th, 2010, 20:27. I looks like the weather has improved. They are not all covered with ice. There has been much milder in recent days. Yesterday was +5-6 degrees and rain, today is - 3 degrees and snow showers. Snow showers will continue for the next few days. "Gardar" on her way out from Tromsø earlier today. The "floor-to-ceiling-windows" really stand out, and probably makes a great view from the bridge. Interesting detail. 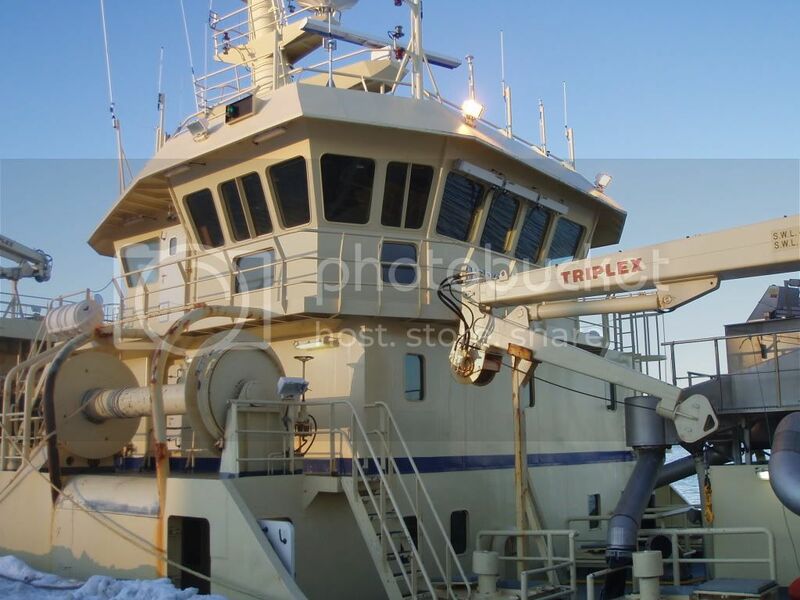 Libas is undoubtedly one of the finest looking fishing vessels ever made. All times are GMT+1. This page was generated at 17:47.